There are a lot of people posting stuff on different media, so it’s easy to get lost among them. Content marketing is a powerful tool, but to get people attention you need to be creative with the content you post. Let’s get creative with this episode too. 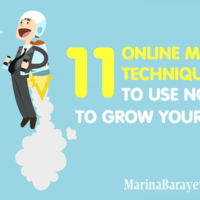 Instead of one guest, as usual, I want to introduce you to two great guys who started small, but found their online voice and now share how they did it, and you too can do to stand out with your online content. 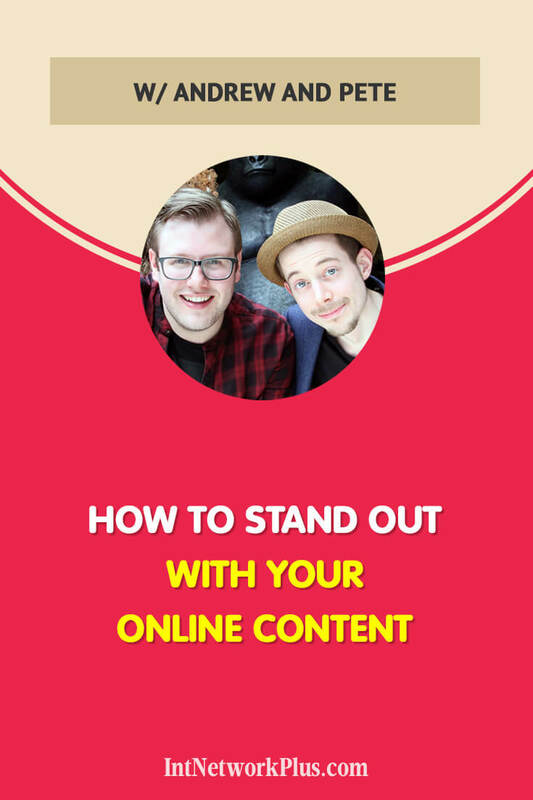 In this episode, Andrew and Pete share how to stand out with your online content. 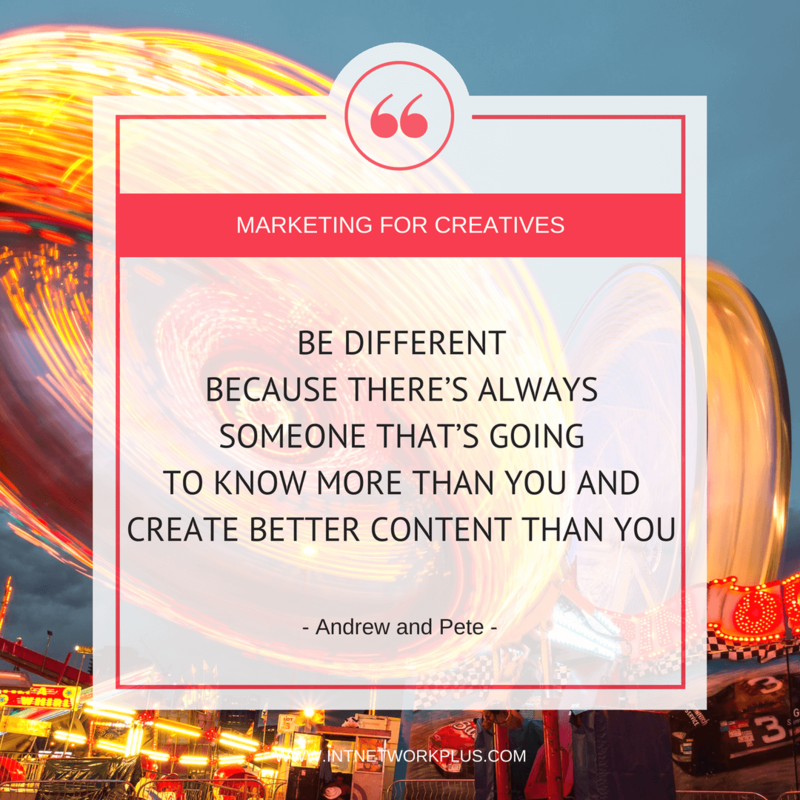 Andrew and Pete are the fun content marketing duo who help solopreneurs and small businesses to create insanely shareable content that builds brands people love, through their membership community – ATOMIC. They won the ‘Digital and Social Media Company of the Year Award’, and also ‘Business Personality of the Year Award’. As international keynote speakers, they have been featured on sites such as Social Media Examiner, Entrepreneur on Fire, Convince and Convert, Kim Garst and Huffington Post, and are authors of the hit books, ‘The Hippo Campus’ and ‘Content Mavericks’. Andrew and Pete, please tell us about yourself. What do you do, why and how did you get together? We first met at university. We started up our business straight out of university basically. We bonded over our friendship and our ambition to one day rule the world. We started off in business straight out of university and what we found was we had no job, obviously, we had no money because we’d just come out of university, we had no business contacts whatsoever, we had no customers, we had no reputation at that point. So we did two things. 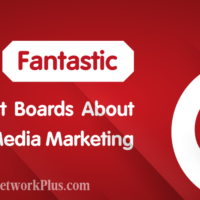 We went networking, face-to-face networking at local events and we started on Twitter and Facebook and blogging. It was frustrating. We were slowly getting more followers but nothing really. Whereas, when we went networking, we were getting a ton of business. And what we were doing at networking was, we were different. We were two young guys in a room full of 40-year-old men in suits and we would turn up and we would throw chocolate about, we would have party poppers. We once even took indoor fireworks. People instantly noticed us, we stood out, they remembered us, and they talked about us, which was great because all the competition couldn’t keep up with that. They were just boring. We immediately stood out and we got this amazing reputation. We thought to ourselves, why don’t we take and try and do what we’re doing at networking but online? Because when we were looking online, we were just boring like everyone else. You could change out the logo and it could be anyone’s blog. The moment we did that, the moment we started to make our content more interesting, more remarkable, more stand out, then immediately we got results. Immediately we got new sales, immediately we got 10 times more subscribers, more clicks, more opt ins, more everything. It went through the roof. That’s when we started to see our first, what we’d call fans. When people really love your stuff and they tell you that you’re their fan, which is incredible. And that’s what we love to help other people do, because there’s this myth that content marketing is the long-term strategy. And to a degree it is and the longer you do it, the more benefits you’re going to have. But we think if you do it right, if you do it in an engaging way, in a remarkable way, then you’re going to immediately see results. Immediately you’re going to see something: you’re going to see retain, you’re going to see people following you, sharing your stuff, talking about you, telling you that you’re doing amazing stuff. If you’re not seeing that yet, then you’ve not hit the spot yet. That’s what we look to help people with. So you’re two guys together and some people may think you’re funny and you’re different but a lot of people just work on their own. What tips could you give them on how to stand out with their content online? 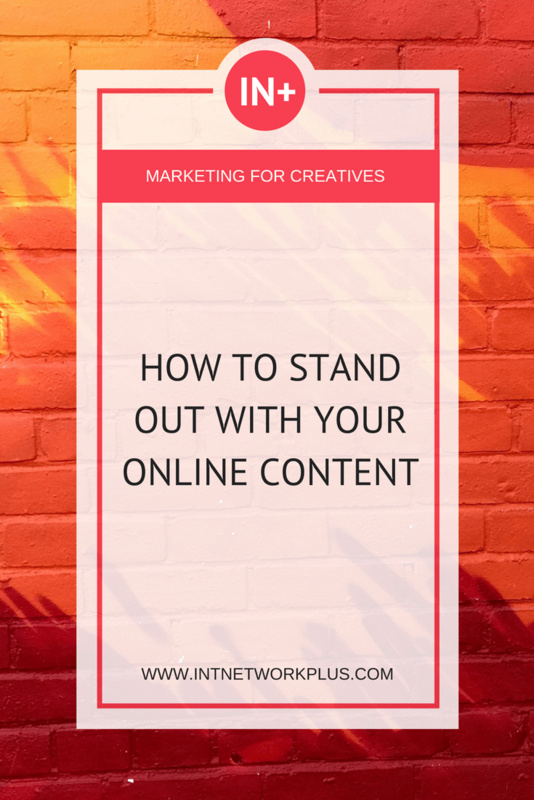 There are two kinds of main ways that you can stand out with your content. You can either be better; you can create a better quality of content than what your competition might be doing. That is an option and we’ve seen people be successful with that but it’s hard. It’s hard to be better than people that may have X amount of years experience on you or already have an audience or have been doing this for years. We always push people towards trying to be different because there’s always someone that’s going to know more than you and create better content than you. There are lots of different ways to be different. We think it starts from within. Working out what you really stand for and who you’re trying to target, so essentially your brand. If you start working on your brand first, then you can start to think of these guidelines and triggers for creative thoughts. If you’re all about X, Y, Z, your content should also get that across and reflect that. There are a few other little bits as well. Yes. I was going to say when it comes to your brand, I think people misunderstand what a brand actually is and how to come up with what your brand is. We say there are five different kinds of elements to a brand that you need to work out for yourself. The first is your brand values. We get people to think of three stand out brand values. These are words or phrases that you want to be described as when you’re not in the room. When we start doing this kind of activity with clients, immediately some of the words they’ll say will be things like ‘professional’ or ‘friendly’ or ‘creative’. These are all well and good and it’s important to be all of those things depending on your industry but they’re not stand out. We call those baseline values. We want to think of three stand out brand values, three ways you are different to your competition. We start with that. Then we jump into your mission and your aspirational message. 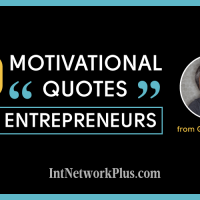 Why are you in business to do what you do, more so than just making money? Because if people have a mission or if there’s an aspirational message there that people can get behind, then it’s much easier to be a fan of that person than if you’re just in it to make cold hard cash. Number three is your archenemy. We always get people to think of their archenemy. This is who you are definitely not. This one’s really interesting because people often know who they definitely aren’t or who they definitely hate the style of content of what someone else is doing but when we look at their content, it’s exactly the same. They’re looking exactly the same as someone who they definitely don’t want to be. So, we get someone to define who you are definitely not in your industry. Sometimes this is a real person. I’m sure there are some people listening who are thinking, “Yes, I know who definitely I am not.” Or sometimes it’s a bit of an amalgamation or a made-up person. It’s almost a negative influence to mark yourself against when it comes to creating your brand and creating your content. Yes. Then we also have your avatar. It’s like who do you want to serve, who do you want to help, why do you want to help those people, what are their problems? Once you can start to delve a little bit deeper than just demographics like it’s a woman and they live in my local town, what are their actual problems? Once you can delve into their problems, you can think of an infinite amount of content that’s going to help them and actually draw people into your business. That’s really important, to know who you’re targeting and that does come under your brand. Finally, the fifth one. We’ve got brand values, your mission, your archenemy, your avatar. And the fifth one is your lingo, your voice characteristics. It’s not just what you say but how you say it, why you say it, the way that you say it, the style of writing that you have. All of these things become a factor but it’s also the words you use. We use a lot of our own, not made up words but almost made up words or terms or phrases. We’ll probably drop a few in throughout this but people then start to use them. Maybe you can get your listeners to see if they can find one of our lingo and point it out. It’s really cool because then other people start to use your own words that you’ve phrased and coined, which is how content marketing first came about, someone just coining that phrase, and now everyone uses the term content marketing. That was actually a guy that said that first. I was going to say in our book Content Mavericks we talk about creating your content stamp. This is your unique way that you’re delivering your content online. A lot of business advisors and a lot of people that help businesses set up talk about the importance of having a USP, a unique selling point for your business. It’s almost like a framework for creative thinking. We know what creative people are like, we’re creative people ourselves. Sometimes we have a lot of different ideas and we want to do a lot of different things, and sometimes it feels like our brain is pulling us in a million different directions. So, for creative people, having a bit of a framework for actually thinking of these creative ideas is a great way to narrow down what’s actually right, what’s right for you, your brand, your audience, and delivery as well. Yes. It narrows it down. You might have all these ideas but then these guidelines focus you in so that you don’t stray and it’s not off-brand or out there, it’s actually going to do well for your business. That’s where we’d start on the brand. Some things, like creating your brand mission, your avatar, this is what people talk about all the time but you say that we also should take a look at who we are not. How does it work? I’m not Kim Kardashian and what should I do with this? Who you are not in your industry, that’s the key. We should look at your competitors, what other people are doing and what they’re like in their industry and is there a specific style or way of working that you just don’t resonate with at all or that you don’t want to be associated with. For us in the marketing world, we know there’s a lot of suited and booted old school marketers but we know we are definitely not them. We don’t want to be. We actually call them suit douches (laughter). We know we never want to be portrayed as that. We never want people to think of us like that. It’s just a great tick on the framework. When we’re thinking of a content idea we can ask would our archenemy do this, how would they do it? It’s a great way to know exactly how not to do it. Are we delivering this is in a really dry way? That’s not us. Are we delivering this in a way that’s all theory and not practical and helpful and inspiring to people? That’s not us: we don’t want to do that. What are we wearing in these videos? We are not wearing a suit and tie. We are wearing t-shirts. Nice floral shirt you’re wearing today (laughter). We’re trying to avoid being… We are the opposite of those people. 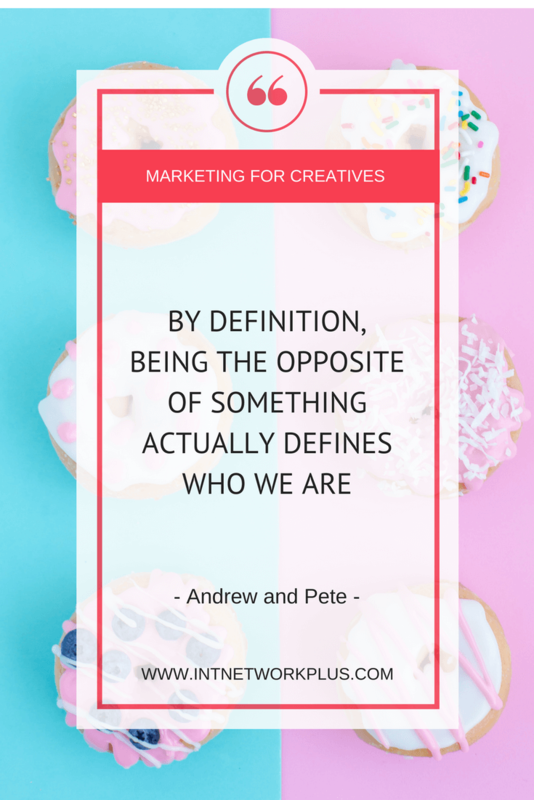 By definition, being the opposite of something actually defines who we are. White is the opposite of black, and so forth. And because of that, they have people that absolutely love them and because of that they are the richest brand in the world. It’s very powerful stuff. When people create content, some people try to be everywhere, some people focus on social media and some people on blogging. What is your suggestion? What would you focus on? Social media or blogging, or do a mix, and how does it work? I think it’s really important that there is a mix there. I feel like you need to be on social media because that’s a great way to find your audience because people are there already, so it can draw people into to what we’ve got to say on social media. Having a blog or publishing content on your own website, whether it’s a blog, a video or a podcast, is also really important because that’s your home base. What I would say is use social media to draw people back to your home base. Having one without the other doesn’t really work but I completely get that it can be overwhelming to be everywhere. What we would always say is have your home base website content, whatever that is. With social media, pick one dominant platform, maybe two if you’ve got the time, but for a lot of people that we work with and we talk to, they’re trying to run the business, they don’t have time to be everywhere. We say it’s best to have a solid passionate audience on one or two platforms than have a mediocre platform across the board. Always with the aim though of bringing people back to our own platform by creating our own subscriber base whether it’s podcast subscribers or YouTube subscribers or email list building. To clarify or to reiterate that, we work with a lot of solopreneurs: photographers, designers, coaches. The biggest issue is time. If they have a dominant platform and then some supporting platforms, that’s cool but you kind of want to keep those other ones ticking over. The better and more focused you are on one platform, the quicker you are going to grow it, the more used to it you’re going to get. You are going to know all the features, you’re going to know how to max it out and do really well on that platform. If you produce a really good blog, you want to take bits of that and tease people from social media and come back to your blog. But also these days it’s very tempting to create content just for social media and we’re seeing that a lot because it’s hard to get people back to your website from social media. People want to just stay on social media. In fact, if you post a link on Facebook, your reach is going to go down dramatically. You’re not going to reach that many people compared to if you just post a video or post a text or image to Facebook. Because of the algorithms. The algorithms dictate, based on what you’ve posted, who’s going to see that content. 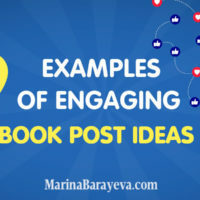 If you post an image that’s a funny image and you want people to engage with it, Facebook will show that to your Facebook fans that enjoy your posts the most. If they also comment and like that and engage with it, it’s going to show more people and if they also engage with it, it’s going to keep showing more people and more and more. Fantastic. So in fact, our reach can be amazing. Facebook doesn’t necessarily like it when you tell people to go away from its platform. If you post a link to somewhere else, it does two things. Number one, it’s taking people away from Facebook, which means they can’t sell any more ads to you, show more ads to you, so they’re not making as much money. And B, it might provide a bad user experience for that person, it might not be mobile friendly, it might be a bad link, it might be a really slow loading website, it might not give the information that it has promised. It’s going to punish you, almost, and not give you that much reach, a tenth of the reach for example or a hundredth of the reach. It’s not going to give you that much reach. As I was saying, it’s really tempting because of that to just create content for social media like mini blogs or post a really cool video on there or do Facebook Live. And that’s all well and good but you need your own home base. The saying goes, “Don’t build your house on rented land.” For example, if the algorithm changes and if you lose your page over night, there’s no way of getting that back. You’ve just lost however many years worth of followers you’ve built up. If you get people to your website or if you get them subscribed to your email list, then that’s the key because that’s yours and you can do whatever you want with that. That’s the short answer: both. We need both and we want to reach more and more people. 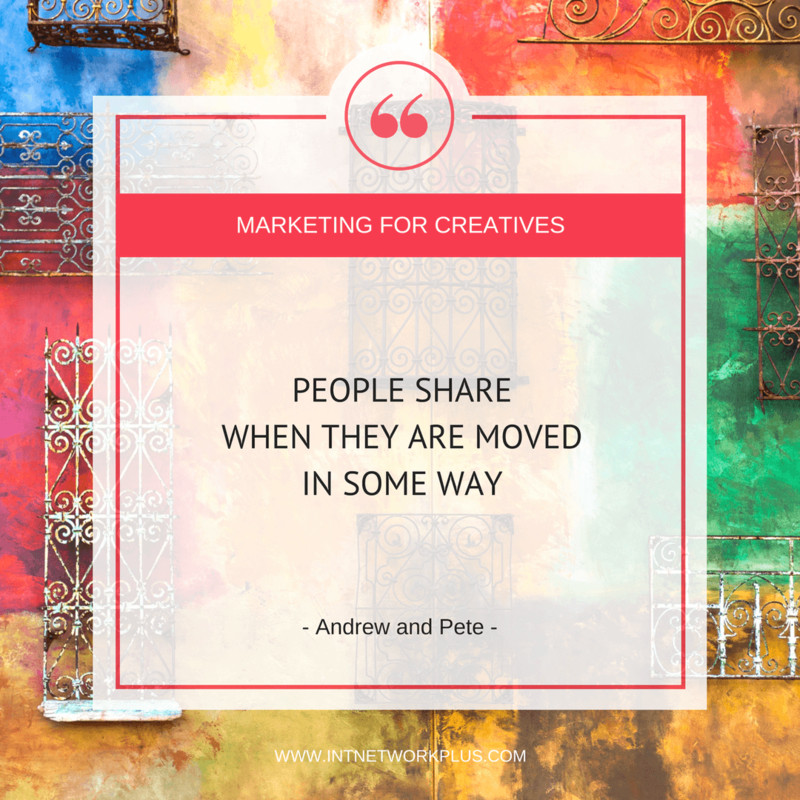 What can you do to make it shareworthy? Not only we create content but people would also share it and we would reach more audiences with them. We’ve got five points, we like the number five it seems, to talk about on this. It’s really easy to remember as well because it spells the acronym BEACH. We like to say that content is a BEACH sometimes. It can be a beach. We’ll take this one by one. The B stands for brand advocacy. People are way more likely to share if they are an advocate of your brand. How do you do that? You need to be a lot more personal. People don’t necessarily fall in love with logos, they fall in love with faces. As many human-to-human interactions as we can be having on social media, the more brand advocates we are going to build. Especially as creatives, how many of you hide behind a logo or behind all your artwork, or anything like that? Get your face out there and tell people stories. Let them get to know you because the thing is that people share your stuff if they like you or at least they’re more willing to. Make people like you. Allow them to like you because they can’t like you if they don’t know anything about you. The E is for emotion. No longer do we want to be creating vanilla content. We want to spark some kind of emotion in people. There are tons of different emotions that we can tap into. You can tap into humor, you can tap into nostalgia, but it could just be shock or awe or amazement or curiosity or frustration. People share when they are moved in some way. The A in BEACH is for appearance. And that’s not necessarily your own but it’s how other people look when they share your content. When you share a piece of content, that says something about you. That’s why people share stuff online because they’re building up this image of themselves that they want. If you give them something that helps them with that, they’re going to share it as much as possible. For example, if you want to appear really fun, like a fun person, and you see a fun post, you’re going to be more likely to share that. If you want to appear like you are really in the know about marketing, you’re going to share that breaking news article. It’s about finding out about how your audience wants to work and then giving them the content for them to share to make them look good, if that makes sense. C is for causes and beliefs. People will share causes or things that they believe in that are close to their hearts. Yes, or Apple versus Android, causes or beliefs. That works very well for some businesses and not so much for some other businesses. But if you can tap into it, your shares will be golden. The H is for high value or even we’ve attempted to say hyper value. I think everyone’s already heard this, make your content as valuable as possible, but we want to push you on that and challenge you on that. How good is it and how good could you make it if you had double the amount of time? If you had double or triple the amount of time to spend on your content, how much better would it be? What else would you do? Because I know for a fact that we could do a lot more, and I know that you can do a lot more, not you personally but the people listening. It was a really hard-hitting message to us that we need to spend more time and make it better, the best it possibly could be for that topic. Anyone listening, that H is for high value. How valuable can you make that post? Even the quality level of your posts. We’ve known some people that have podcasts for example and they’re complaining it’s not doing very well, and we listen to it and they’ve got the worst mic they could possibly have. Podcasting is not that hard. It’s audio. You need a good microphone and you don’t have to blow the bank on a microphone either to have a good quality audio. Talking through a headset from 1992 is not going to cut it. It’s pushing yourself on how can the quality of the content, the actual content itself, not what you’re saying, be as good as possible. That’s the five ways to get more shares: brand advocacy, emotion, appearance, causes and beliefs, and high value. BEACH is the acronym for that. Every time you create content, you need to think about a beach. If it helps, wear sunglasses. We’ve both got shorts on under here. I’m just kidding. It’s February in the UK and it’s way too cold for shorts. What’s the first question you would ask me? I don’t want to tread over what we’ve already talked about but the first question is always defining your brand. I feel like that seems sometimes a little bit airy fairy to people but honestly, if you know exactly who you are, who you want to be attracting and why you are different, the results from just doing that exercise can be absolutely astounding. We were working last year with a proofreader and editor who was getting a lot of enquires but not work from the right people at all that she wanted to work with. So she joined ATOMIC and she worked through not even all of the content, she did a few different sessions around the branding, really defined and honed that down, changed the wording on her website so it was communicating the right sort of things. And all of a sudden, the amount of enquiries from the right sorts of people quadrupled within a really short space of time, we’re talking months. That was literally just by changing what she was communicating after she worked out her brand. Yes. And that’s just step one. 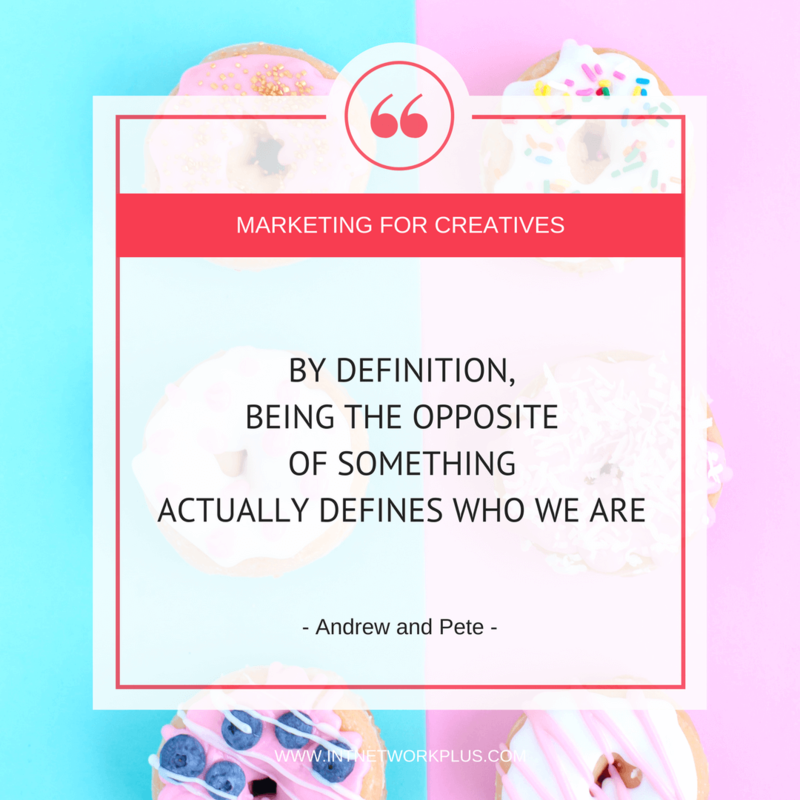 When we get to creating content already we know what we are, our differences and when we come to creating content… Our listeners are painters, photographers, hairstylists, dancers, a lot of creative people. The first thing that comes up in your mind is that you post your work or something that you do. It may be a good way but a lot of people do that. Could you suggest something to those people, maybe each category or just five us a few examples as to what they can post to stand out with online content and get more attention from people? Firstly, posting your work is great. What we call that though is secondary content. We’ve got two types of content: primary and secondary. Secondary content is all about you, how awesome you are and sharing all the good stuff. The primary content is content for your audience that either makes people feel happier or smarter, or a mix of both. You want to be hitting and making people feel happier or smarter, not necessarily always, I don’t want to say boring people but if all you posted was your work and how awesome you are, you are going to bore people eventually. Let’s take some of these and let’s think of some primary content. It’s not necessarily about what you do, it’s about what problems your audience has or your avatar has, like we said before. We’ve got hairstylists she said. People go to the hairdressers to look good, to feel good, to style their hair. Typically, the secondary type of content there you could create photos of your hairstylist work that they’ve done on other people. You could post your price list, a coupon, or an offer. You can post all that kind of stuff. But the primary side of things, the thing that’s going to draw people in and actually build that trust and get some more engagement, that could be things like how to style your hair in the morning in five minutes. It could be the top five hair trends and if you’ve got long hair, you can style your hair in this way in the morning. It can be the top five styling products for guys. It could be, “Hey, guys. What’s the difference between matte and putty and paste and gel?” Because you know what, I’ve got no fricking idea. It could be fashion tips or makeup tips or beauty tips. It could be how to get your nails done properly, the top five nail trends, how to do your eyebrows. This is why it’s so important to know your avatar and who you’re talking to and what their problems are because if you’re a hairstylist, you’re going to be overwhelmed by this point because Pete just said 105 different things that you could be doing. That’s why this framework is great because it’s like, if we’re targeting working moms, they’re probably not going to want to know how to style your hair in an hour in the morning. They’ve got stuff to do. Maybe working around some problems around that, how do you look after yourself, how do you take care of your hair when you’ve got a screaming two year old in the other room? Exactly. How do you do your hair in five minutes in the morning? Some of these, for example dancers, is there are crossover when it comes to primary and secondary? If what you actually do can make people happier in the fact of what you’re doing like dancing can, then you’re onto a winner. There aren’t many industries that can actually make people feel happier or smarter. Again, on that note, you could be posting like, “Hey, this is dance routine that I’ve just done.” Or you could do, “Hey, why don’t you learn a dance routine with me?” Making them smarter and happier and getting them more active. Maybe it’s just about getting people more active. What is your actual mission of dancing and teaching dance? Why do you want to help people? And how can your content do that also? What people sometimes do is they watch something online like a tutorial. For example, if a person is a dancer and he or she shows the dancing routine, someone will watch and repeat. Why would they come to you and buy your service then? I can just repeat that. Or if the hairstylist shares her tips, I can do the hairstyle by myself. I feel like that’s a fair point and it’s a good question but it’s the same with us. You could literally go and Google and YouTube every single bit of marketing advice out there because someone, somewhere has probably said it. You can literally just go and binge watch a gazillion different YouTube videos but you would come to us because it’s structured. You would join ATOMIC because it’s structured. There’s a pace, a community around it. The quality is higher than just the YouTube video or a blog. There are all these reasons. You would also get more. You get more advice. You get one-to-one support. There is all this other stuff around it. So no matter what you do, no matter how good your content is, people are still going to pay you because at that end of the day they’re either lazy, they haven’t got the equipment, or they want a little bit more support. I just want to say time. I feel like time is a big one a lot of the time. I think it’s a great question and a lot of people are so scared about content marketing because they feel like they’re giving away all the secrets where we say you know you’re doing content marketing well when it’s slightly uncomfortable to give it away because it’s so good. When you feel that little bit of discomfort, you know it’s good enough. You know what? On this point, you’re doing exactly that same thing. You’re a photographer but yet you’ve got a podcast about how to help creative people with marketing. Brilliant. If, obviously your avatar is creative people, which I presume it is, then you’re delivering this audience with primary content, you’re drawing them in, you’re building relationships, you’re giving them a ton of value and at the end of the day, if they need a photographer, they’re going to be thinking about you. Boom! Nailed it. Two things on that. Number one, it’s great that you can kind of define our style and describe our style back to us. I’d say that’s a pat on the back for us that you can do that because that’s what you want to be aiming to do as well. Number two, we’re not saying you need to be fun and wacky like us or how we’re doing it to stand out in your own industry. What we’re saying is “professional doesn’t mean boring. You don’t have to be boring and corporate doesn’t mean navy blue”. It comes down to your brand, what you’re all about and how do you get that across. For us, we want to be seen as quite fun, friendly and approachable. It works with us and it’s how we would communicate normally with our friends. We’d use emoji, we’d have jokes, we would have a laugh. For us, it’s not an act, it’s just us. Yes, I think we’re not trying to be a suit douche. Fantastic. 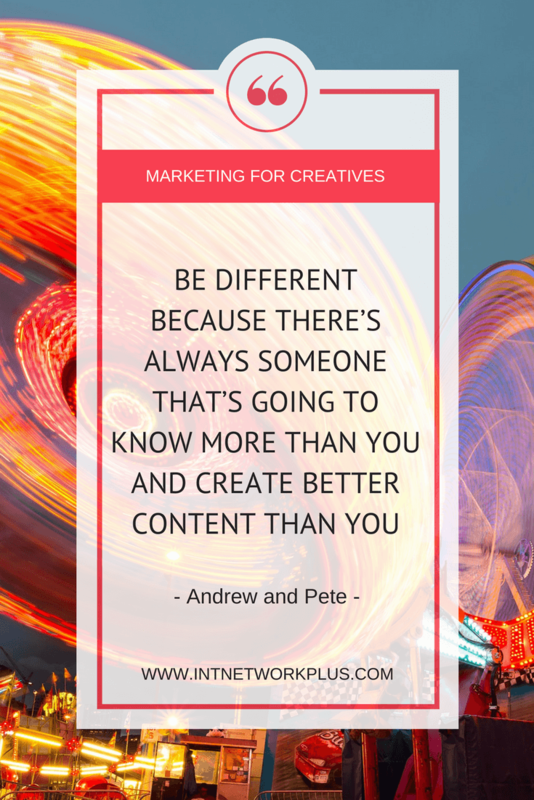 Andrew and Pete, thank you so much for sharing so many tips on how to stand out with online content. How can we find out more about you, watch more of your funny videos and useful information? Firstly, thank you so much for having us. It’s been a really good interview. You’ve had some good questions. If you want to find out more about us then our YouTube channel is probably the best place to go which is youtube.com/andrewandpetetv. We’re basically Andrew and Pete on all the platforms. If you search for us on your favorite one, you’ll find us. 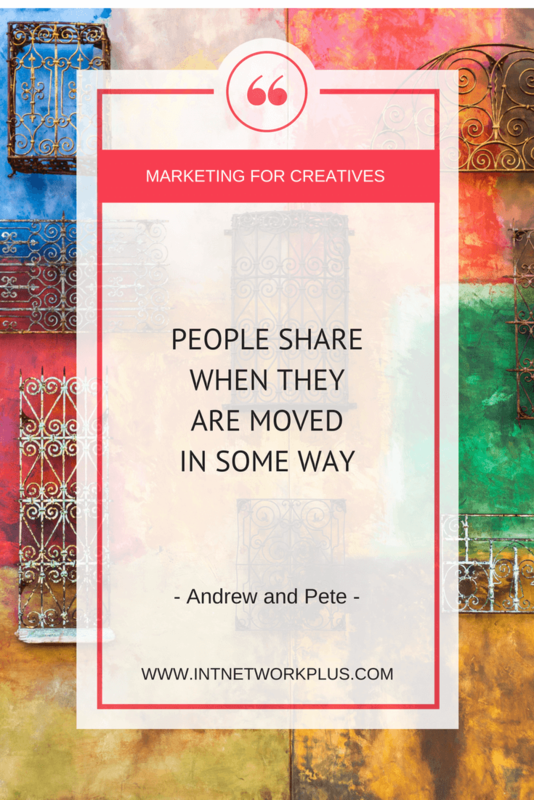 Check out our website andrewandpete.com where all the content is repurposed.